Generally, cervids (the deer family) partition their resources between grazing (root meaning: grass) and browsing (root meaning: buds) so as to limit competition in feeding. 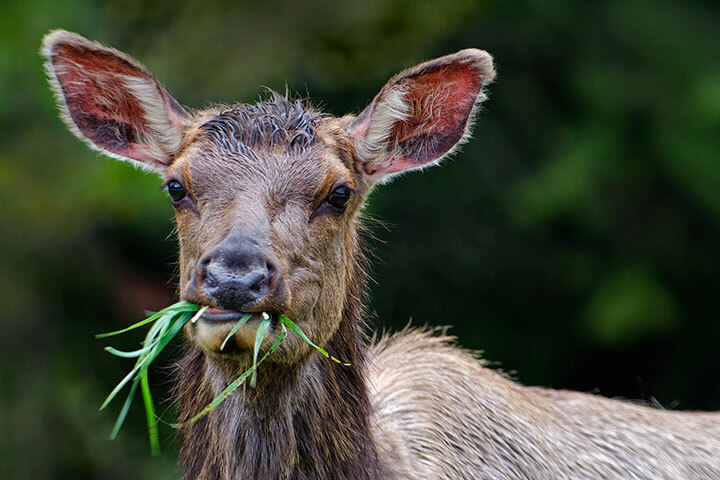 Grazers, such as elk, primarily eat grass; Browsers, such white-tailed deer and moose primarily eat buds and leaves. The key word here is primarily. When the season changes and their favourite food is scarce, cervids will adapt. 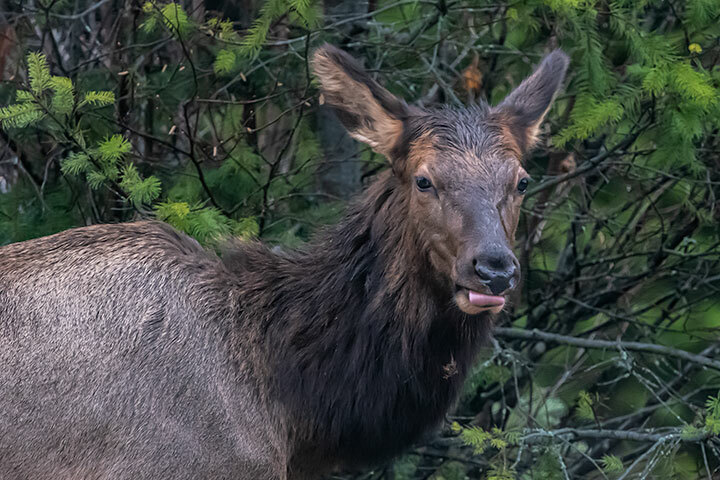 So it is that elk, which previously I always had seen grazing had begun to browse. Elk will graze on grass when it is available (April 30, 2012). 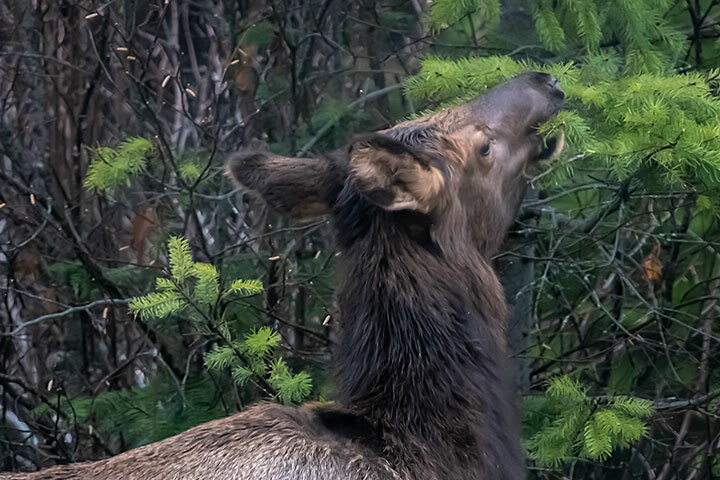 However, this week elk were seen browsing on the needles of Douglas-fir trees. I would cast my vote that doesn’t count for the grazer pre-ruminant as a calendar fold-out. Thank you Alistair! Nice to see these animals up close.